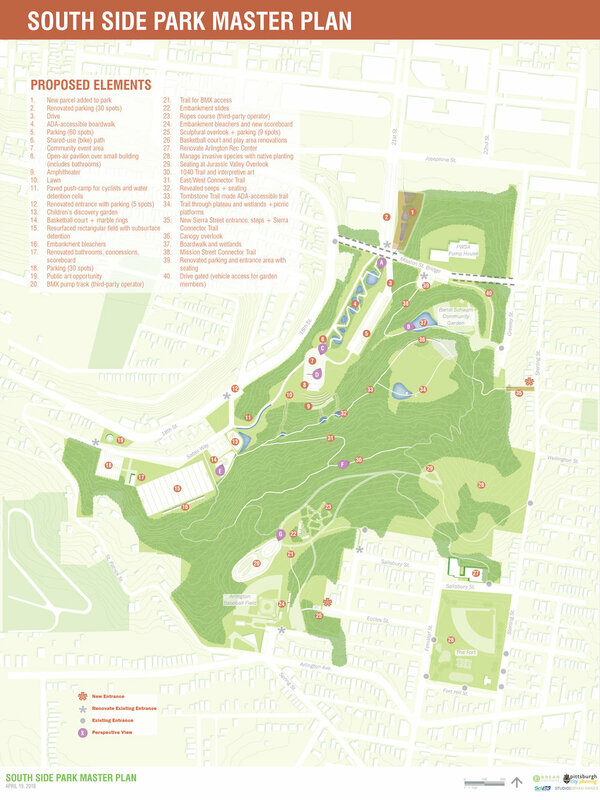 The South Side Park Master Plan is an outcome of the City of Pittsburgh’s Comprehensive Plan, which identified South Side Park as a potential ‘signature’ amenity within the City’s open space system, ripe for offering unique activities and serving areas beyond the immediately adjacent neighborhoods. 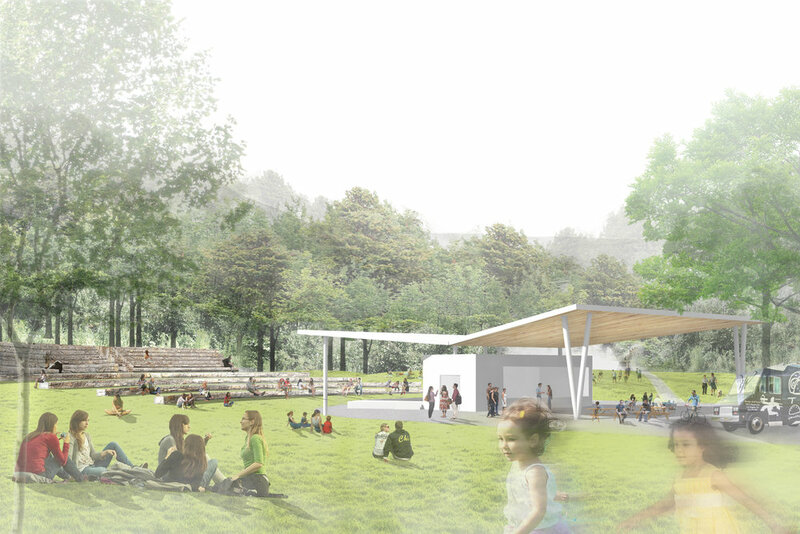 The master plan developed by Studio Bryan Hanes in conjunction with the City of Pittsburgh and an Advisory Committee of park stakeholders lays the framework for an inclusive space that intertwines recreation, programming, multi-modal connections, and ecologic systems within its urban context. 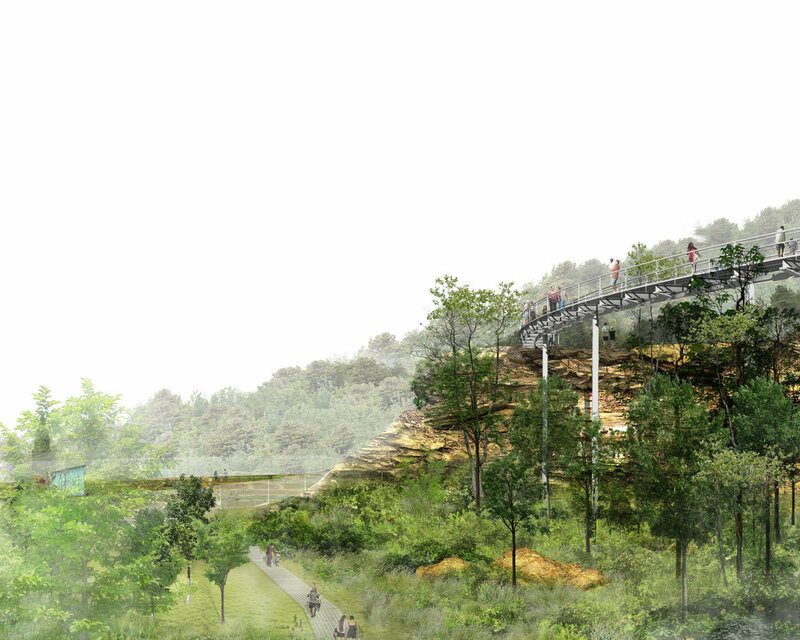 The 65-acre site with 400 feet of elevation change from north to south is inherently dramatic, providing both opportunities and challenges for public space-making. 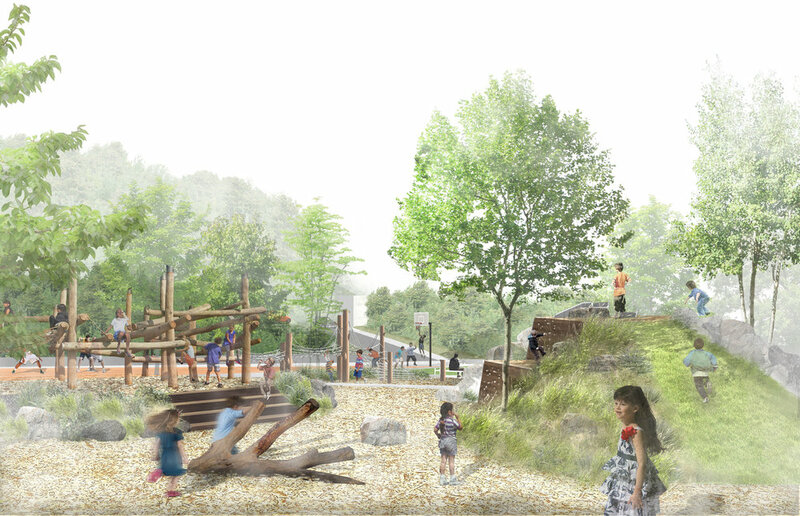 Design decisions take cues from the unique culture and spaces within South Side Park’s energetic community and from its rich landscape. 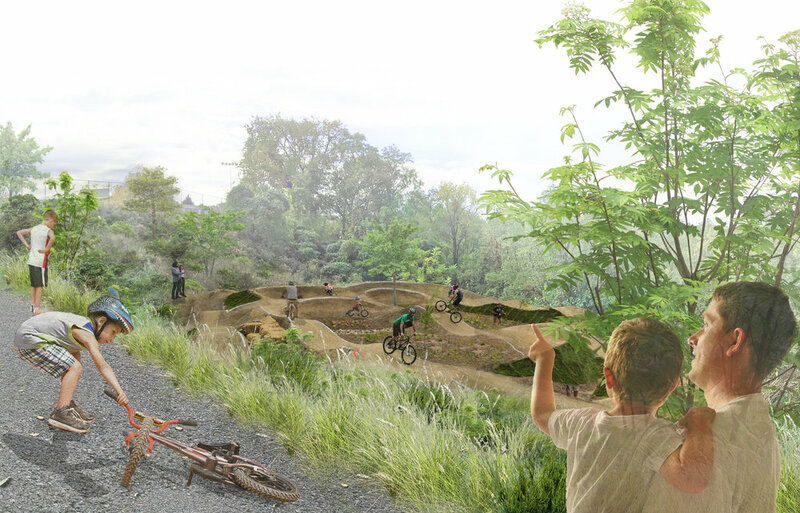 The plan engages the site’s natural systems and adds desired community resources. 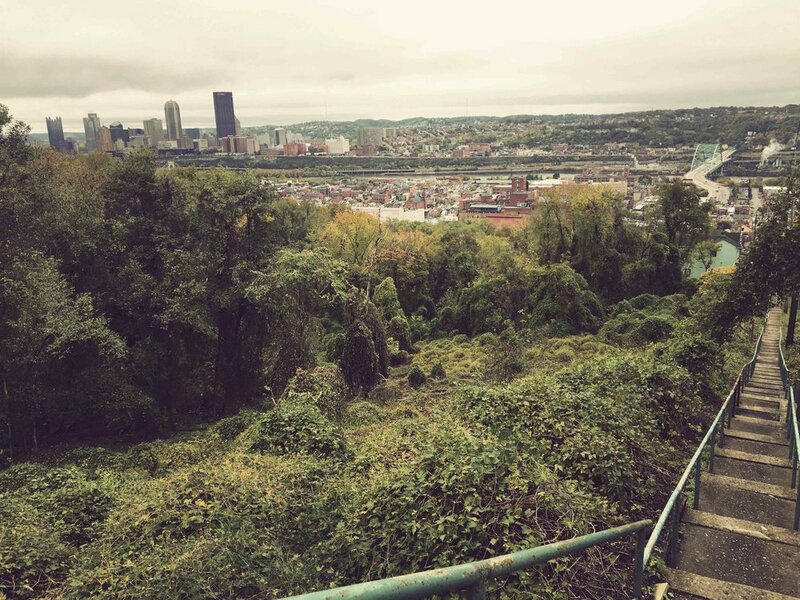 The park also sits near the top of a combined sewershed that discharges an estimated 102 million gallons into the Monongahela River; the park offers a prime opportunity for constructing green infrastructure to reduce this discharge and was identified as PWSA (Pittsburgh Water and Sewer Authority) as a priority. 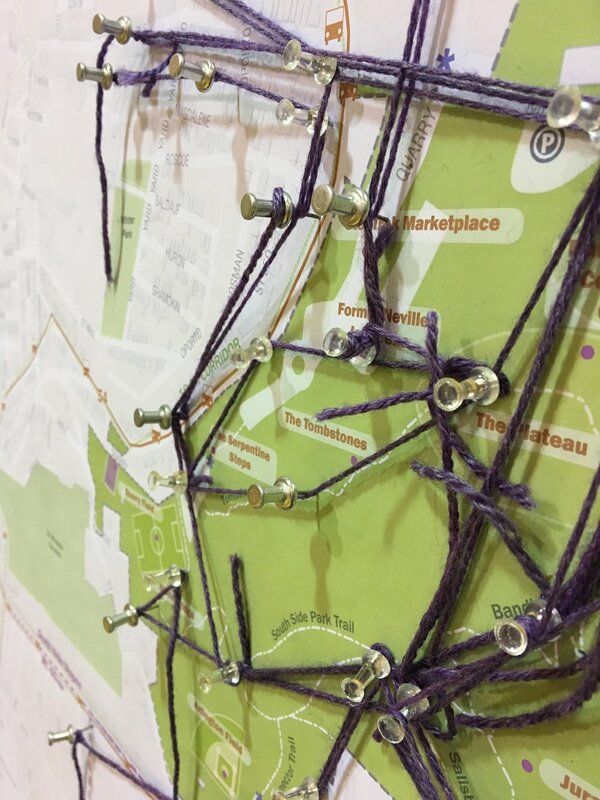 The team led an intensive four-month engagement process that included monthly community events in the park itself, off-site activities, stakeholder conversations, and surveys. A phased implementation strategy with estimated costs means that the plan may be easily adopted into future city budgets and by other funding sources. Projects are intended to be achievable and representative pieces of the larger vision of a unified framework that both builds community pride and helps to guide future capital investments.